Your heating, ventilation and air conditioning (HVAC) system plays an important role in maintaining your home’s indoor temperature. The problem you might face is the energy bills that can come with it. 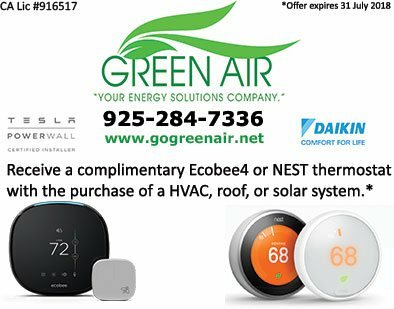 Green Air Heating and Air Conditioning, your premier HVAC contractors, share four ways to save money on your HVAC system without compromising your indoor comfort. 1. Get a Programmable Thermostat- One of the most affordable ways of increasing or decreasing heat is to buy a programmable thermostat. By adjusting it to move the degrees up or down by only five degrees for eight hours, you can save over 10 percent on your energy bills. At the same time, you can program it for certain times of the day, like when you go out for work or are sleeping. 2. Preserve the Air- Insulating the house plays an important role in keeping the temperature steady. Any airflow that escapes from the house may make it hotter or colder than it should be. This also means you’d be spending more to keep the same temperature. Make sure to check pipes, ducts and other outlets and fix it with some tape, especially if you have a smart HVAC system in place. 3. Clean and Change the Air Filters/Coils– While airflow escaping the house can ruin your comfort, so can blocking it inside. Dirty filters and coils make it tougher for cool or warm air to circulate the room. To be safe, make sure you inspect it every month and have it cleaned properly before installing it again. 4. Replace It– Sometimes, your HVAC system itself might be the problem. It may not be worth it to keep paying for frequent HVAC repair, so the best way to work around this problem is to replace it with a more energy-efficient system. If you want an affordable and high-quality air conditioning system, call Green Air Heating and Air Conditioning at (925) 627-6527 to learn more about our services. We serve homeowners in Concord and other parts of California.